Since moving to Durham, my wife and I have totally become obsessed with everything Bull City. Stickers, t-shirts, coffee mugs, you name it – we love it. Guess we’re still new enough to this town. There is an awesome brand called Runaway that makes some pretty cool shirts that we’ve been digging lately. And this weekend I had the opportunity to go to a show featuring the creative director of Runaway, Gabriel Eng-Gotez. 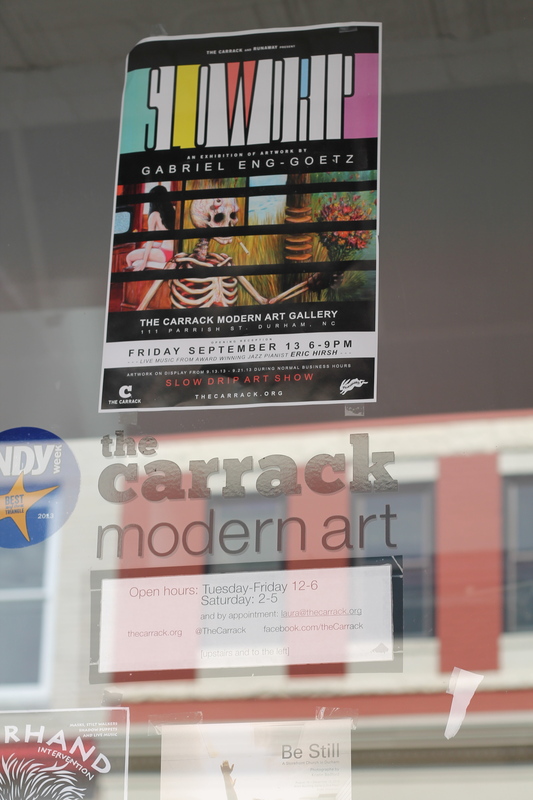 His show, titled Slow Drip, was at the Carrack Modern Art Gallery in downtown Durham. His work was fantastic. One of my favorite pieces was titled Eulogy of a Pimp. While I was at the Carrack, I found out about an opportunity to participate in an upcoming community exhibit called Red Dot. Its actually a fundraiser for the gallery that features small, affordable works of art donated by community artists. The work is all displayed anonymously and priced by size ranging from $25-$75. I’m definitely going to work on something to donate because I think the mission of the gallery is really unique and I’ve been impressed so far with the shows they have put together. The requirements of the show are that your works are no bigger than 12″. I’ve been doing a lot of smaller-scale funky portraits, so I think I’m going to continue with that. 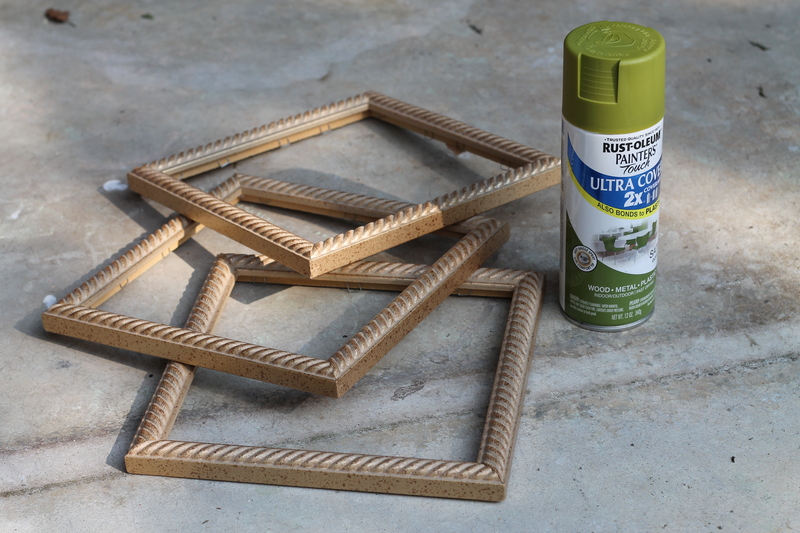 I even found some 8″ square frames in my garage that I can spray paint and use. I’m not 100% sure what will fill these frames, but I’m pretty sure the subject will be a long-haired vagabond. This Saturday I’ve got another opportunity coming up. I’m signed up for a screen printing class at Durham Supergraphic. I’m stoked to finally learn how to screen print and looking forward to getting to use the space to make some new art. Here’s to many more opportunities in the Bull City.